Which really did come first? Was it the chicken or the egg? I pondered this aloud this morning with my eight-year-old daughter as I fired up some breakfast before school. I asked her what she thought about the conundrum. “The egg,” she answered, matter-of-factly. “Are you sure God didn’t make the chicken, and then the chicken laid the egg?” I offered. My mother, who was an honors English teacher, always hung framed poems and sayings on the walls around our house. I memorized all the ones in the downstairs bathroom, since I spent a lot of quiet time in there. Still today, the downstairs bathroom is my most-frequented reading spot. Whoops, sorry . . . TMI(!) . . . Anyway, I have always been a fan of wise and inspirational quotes. In fact, in one of my early flashes of entrepreneurship back in 1983, I thought about creating a company that printed quotes on wooden plaques. Not poems, like my mother hung, but just quips and one-liners, like Humphrey Bogart was always quick to produce. That thought blossomed into the idea of beautiful framed scenes with the quotes etched in the background. Maybe I would also print quotes on mugs, shirts, hats, etc. Then I made my critical mistake. I asked a few of my cheap, tacky friends what they thought of the idea. They laughed. They said things like “That’s stupid” and “Who would ever buy something like that?” Yeah, they were probably right. Just a few years later, Successories opened in my local mall and became my all-time favorite store. It’s founder, Mac Anderson, apparently didn’t listen to his friends and created a multi-million dollar global brand that he eventually took public. Oh well, “Better to be safe than sorry,” right? I never lost my love of the English language, and though I never became an “inspirational plaques” mogul, I did become a writer. Okay, a sportswriter. It’s kind of the same thing. And there, just like my conversation with my daughter at breakfast this morning, I used to bounce around contradictory sayings with the guy who worked for me, Kim Harmon. Yes, he was a guy named Kim and he wasn’t Hawaiian. These stupid, impromptu conversations all happened in the olden days (ie, before the internet) but they’re dear to me because they taught me that no matter how wise somebody’s words may sound, our truths in life are the ones we choose to accept as our truths. There is such truth to that comment, but the truth (again) is always relative. Bill Gates did quit Harvard. But he didn’t quit striving. He didn’t quit living. He didn’t quit innovating. When it comes down to it, life is full of quitters who went on to absolute greatness. Niels Bohr, a physicist who won the Nobel Prize for in 1922 for his work in atomic structure and quantum theory (you’re probably wondering where I found this guy!) said, “The opposite of a correct statement is a false statement. But the opposite of a profound truth may well be another profound truth.” Hmmm. I guess what it comes down to is that if you want to find the real truth in life, you have to do it by yourself and you can’t do it alone. A silent man is a wise one. A man without words is a man without thoughts. It’s all about the Benjamins! Two’s company, three’s a crowd. Amid all this (hopefully) thought provoking rhetoric, I’ve been lucky enough to realize that I can completely create my own truth in this world. We all manifest our own truth. We make it all up. In fact, when Cassidy gets home from school today I’m going to tell her that the chicken and the egg both came together. In fact, it was I who discovered them while whipping up a barbecued chicken and cheese omelet. I just hope she doesn’t run it by her teacher tomorrow. She may or may not believe me, but – in any case . . .
I’m Glad I Drank the Kool-Aid! I didn’t learn about residual income until I was 33 years old, when I was dragged to a hotel “opportunity meeting” by an old friend. Even though I was there against my will, it was a night that changed my life forever. It was the night I learned a new word . . . residual. Until that fateful night, I had always thought that “residual” was that line in the bathtub when you get out! But no, I learned that night that residual income is when you get paid over and over again for doing something once! Most of us have jobs where we trade time for money. I was a sportswriter and that’s how it worked for me. If I didn’t go to work, I didn’t get paid. Even the highest paying jobs, I’ve since learned, stop paying you after you stop working. Can you imagine working this week, getting paid for it, and then getting a check for it again next week? You’d be praying that accounting wouldn’t catch the slip up! Imagine the compounding effect. Work a week; get paid. Work another week; get paid for this week AND last week. Work another week; get paid for this week AND the last two again. Sounds great, but this is fantasy land . . . right?! Not so fast. 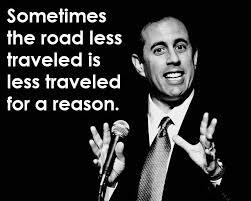 Remember Jerry Seinfeld? 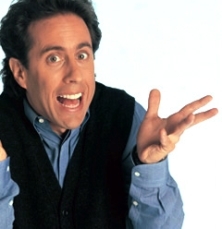 Seinfeld – and all the actors on that show – stopped working 16 years ago. They each earned between $600,000 to $1 million per episode while they were working. But today – 16 years later – the show still pays Julia Louis-Dreyfus, Jason Alexander, and Michael Richards and creators Jerry Seinfeld and Larry David, over $400 million a year in residual income. This is the most-extreme case, as Seinfeld was the most profitable sitcom in history, but you can rest assured that every time you flip through the TV channels and stop on a re-run, somebody’s getting paid for it. And probably not you. Residuals (or royalties) don’t just happen in television, though. Last year Madonna was listed as the highest-earning recording star, by Forbes Magazine, having earned a reported $125 million. But again, not so fast! While the hard-working Madonna was good, with her world tour, record sales, etc, Michael Jackson pulled in an amazing $160 million last year. Yeah, THAT Michael Jackson. The one who DIED in 2009. In fact, in three of the past five years, the “actual” top earning recording star has done it from the graveyard. Elvis Presley has been deceased for over 35 years, and last year he still managed to pull in $55 million. So, you can’t sing. You can’t act. Me neither! But that doesn’t mean you can’t earn residual income. Maybe you’ve just never been properly educated. In the network marketing profession, you get to “partner” with a company (any company you’d like) and help market their products or services to people in your network as a part-time, social thing. You can also organize a part-time sales team, finding other people you know who may want to earn residual income, and earn commissions on all your sales and all of your teams’ sales over and over and over again. Residual income. When I first learned this, it seemed like a daunting task. I wasn’t a sales person, and I didn’t think I knew anybody else that could (or would) be interested. But the evidence was all around me. People were doing this. What did I have to lose? By the way, I got started that night in 1998, just a year after Seinfeld went off the air. And I haven’t had a job ever since.